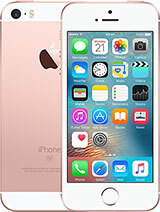 AnonD-78468, 19 Nov 2012Hi I am from the uk and want a phone to work on a gsm sim card if I unlock this phone will it ... moreYea it will work I unlock this my touch 4g last year for $20 bucks. Vary good handset. Now I own Galaxy S3. Both Great. This phone has surpassed my expectations. This phone has surpassed its time. Still a cool phone even in 2012. I own 2 of these and factory unlocked in Canada and they work great! 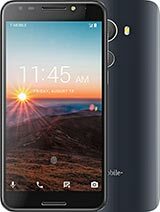 Absolutely a great phone for the price. It handles everything I have attempted to throw at it seemlessly. Great UI. Very responsive, browses the internet very well. Video works great too. 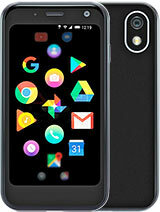 Really dont have any complaints geared towards the phone itself anything that has come up has all been imvolved with the network or software, not the phones ability. Definite two thumbs up. Would recommend to an average to high end user. Great phone, while it was Cleary never intended to be a ultra high end/ gaming phone, mine has served me well for well over a year of use. It handles anything ive thrown at it fantasticly, definatly a great choice for the price range. tipu, 05 Nov 2012in xd-developer.com, i cant get any proper feedback do u know any mobile shop in Sarena Kar... morebro that is pretty much the only glitch this phone has. If you upgrade your device, you ofcourse will be able to use skype but the your video turns upside down and there is no fixing that believe me. I have searched almost every where but just can't seem to get a fix on this problem. I got mine upgraded twice from the new mall in saddar and even went to NASA communication and a couple off other places but got no results, but fortunately for me i knew a guy who was smart enough to down grade the phone for me but anyhow if you do find anything on how to fix this issue do let me know because this is a brilliant phone and i would really like to upgrade it with the video messing up and also you can use "FRING" or the "YAHOO MESSENGER" for making the video calls because they work fine on it, but yes do let me know if you find something on fixing it. [deleted post]ofcourse it does..whatsapp, viber and any other messenger out there..it supports them all..
Hv used it for a yr now, was working perfect till accidentally cracked the touch, it was not sensitive again on the RHS after replacement, call log is slow when full, no auto rotate on contact search, fotos ar grt, served me well. Anonymous, 02 Nov 2012go to xda-developers.com for upgrade/mod ideashow can i use SKYPE in this mobile?